Looking to lower you Torsion Bar frontend Sport Truck or SUV, well look no further Belltech Torsion Bar Keys have you covered. By re-indexing the center section of the Torsion bar key, your ride height is changed simply and effectively with Belltech Torsion Bar Keys. Belltech’s unique and industry first “broached” torsion bar keys are a direct OEM replacement and allow you the simplicity of lowering your torsion bar equipped Sport Truck or SUV approximately 1 to 3 inches, without sacrificing the overall ride quality. 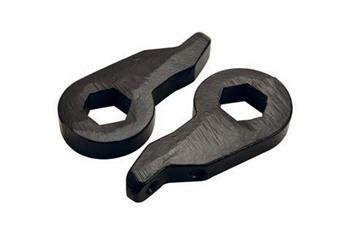 All Belltech Torsion Bar Keys are cast from high strength ductile iron and come powder coated for a lasting finish.